To book a campsite, visit the Park Stay website. Advance bookings are required and sites are very popular so booking well in advance is recommended. Camping is available at Shelter Bay, The Oven and False Entrance. 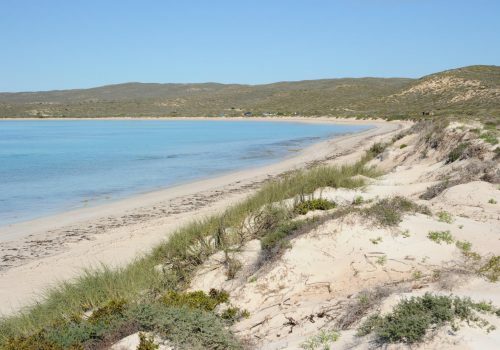 Most camp sites are at Shelter Bay which offers the best shelter from the prevailing southerly winds. The Oven is located on the Steep Point cliffs and is popular with people fishing from the cliffs, but is exposed and rocky. False Entrance is located on the south-western side of the park and has no facilities.